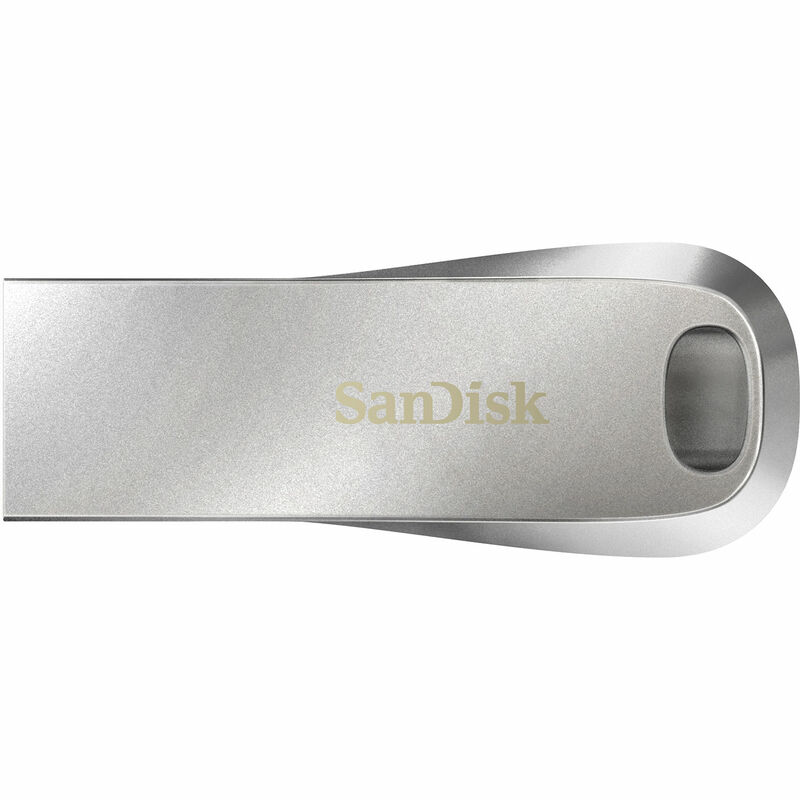 Slip your data into your pocket with the 128GB Ultra Luxe USB 3.1 Gen 1 Type-A Flash Drive from SanDisk. This compact flash drive has a USB 3.1 Gen 1 Type-A interface, and it plugs into an available USB Type-A port on your Mac or Windows PC. The plug-and-play drive supports SanDisk SecureAccess, a downloadable software utility for macOS and Windows that lets you create a password-protected vault with 128-bit AES encryption. An integrated loop in the Ultra Luxe's housing is ideal for clipping the drive onto a key ring.